Apple Pencil is the best creation tool for those artists who work using iPad Pro, but undoubtedly Apple Pencil 2 will be more awesome with more features. Take a look at the following concept Pencil 2. Its features may become reality on the next generation Apple Pencil. 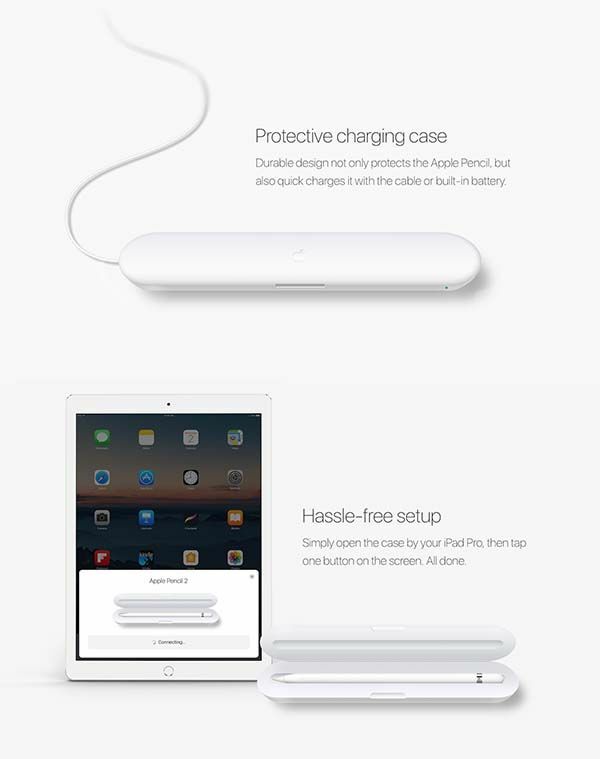 Jared Chan, a designer from San Francisco came up with the concept Apple Pencil 2. 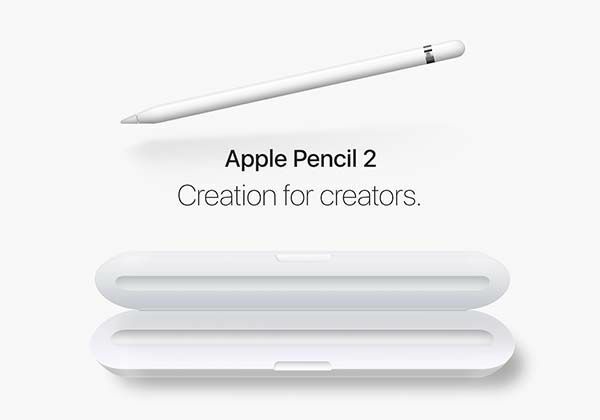 As shown in the images, the Pencil 2 follows the minimal and sleek appearance design of original Apple Pencil, but the new tip delivers much more precise than ever before, and it doubles as color picker that allows you to immediately use your favorite colors in nature for your creations, meanwhile, the color will be displayed on the top end of the Apple Pencil 2 for an intuitive view. Furthermore, the top end works as an eraser that allows you to effortlessly modify your drawing. The concept Pencil 2 also features a custom charging case that not only protects the Pencil , but also charges it with built-in rechargeable battery or the cable. Moreover, it also works with MacBook’s or iMac’s trackpad. It’s a little pity that the Apple Pencil 2 is just a design concept. We really want to see one or more features from the concept on the next generation Pencil.